RarGenie is an adware (sometimes called ‘ad-supported’ software) which looks the entire traffic generated by you and on this basis, it displays a large amount of unwanted pop up ads. Currently, this ad supported software are widely spread, due to the fact that most people are trying to find freeware, download and install them on the Apple Mac without proper attention to the fact that the adware can penetrate into the system along with them. The RarGenie adware is the part of the software that is used as an online promotional tool. It is created with the sole purpose to display dozens of popup ads, and thus to promote the goods and services in an open browser window. It is designed to fill the internet browser’s constant stream of advertisements, or reroute the web-browser to not expected and intrusive advertising web-pages. Moreover, the adware such as RarGenie can substitute the legitimate advertising banners on misleading or even banners that can offer to visit malicious pages. The reason is simple, many advertisers agree on any ways to attract users to their web-pages, so the creators of adware, often forcing users to click on an advertising link. For each click on a link, the authors of the adware receive income. We strongly suggest that you perform the few simple steps below that will allow you to remove RarGenie using the standard features of Mac OS and some proven free applications. As with uninstalling adware, malicious software or PUPs, there are few steps you can do. We suggest trying them all. If you do only one part of the guide, then it should be run malware removal tool, because it should remove adware and stop any further infection. But to completely delete RarGenie ‘ad supported’ software you will have to at least uninstall all unwanted and suspicious applications, and get rid of ad supported software by malicious software removal tools. Some of the steps will require you to restart your machine or exit the web-page. So, read this tutorial carefully, then bookmark or print it for later reference. The useful removal tutorial for the RarGenie ad supported software. The detailed procedure can be followed by anyone as it really does take you step-by-step. If you follow this process to delete RarGenie ‘ad supported’ software let us know how you managed by sending us your comments please. 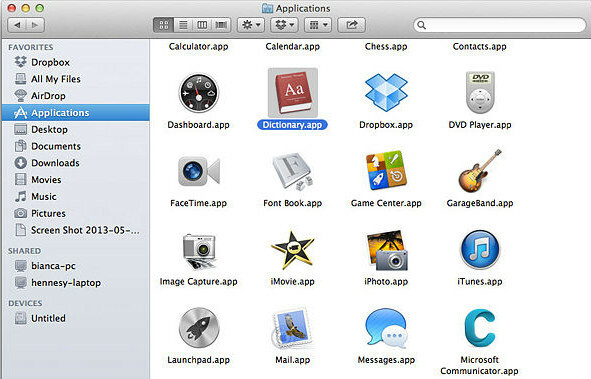 Check out the Finder to see all installed applications. If you see any unknown and suspicious programs, they are the ones you need to remove. Run malware removal tools to remove RarGenie automatically. The free software below specially made for hijacker infections, ad-supported software and other potentially unwanted software removal. These utilities can get rid of most of adware from Google Chrome, Firefox, Safari and other web browsers. Moreover, it may remove all components of ad supported software from system drives. Get rid of RarGenie adware manually is difficult and often the ad-supported software is not completely removed. Therefore, we suggest you to use the Malwarebytes Free which are completely clean your personal computer. Moreover, the free application will help you to remove malware, potentially unwanted applications, toolbars and browser hijackers that your computer can be infected too. When the downloading process is complete, close all windows on your machine. Run MalwareBytes, click on the Scan button to start a system scan like a shown below. MalwareBytes program will scan through the whole system for the RarGenie adware that causes unwanted pop-up advertisements. A system scan can take anywhere from 5 to 30 minutes, depending on your system. While the MalwareBytes tool is checking, you may see how many objects it has identified as being infected by malware. After the system scan is complete, MalwareBytes Free will display a list of found items. Make sure all threats have ‘checkmark’ and press “Remove Selected Items” button. 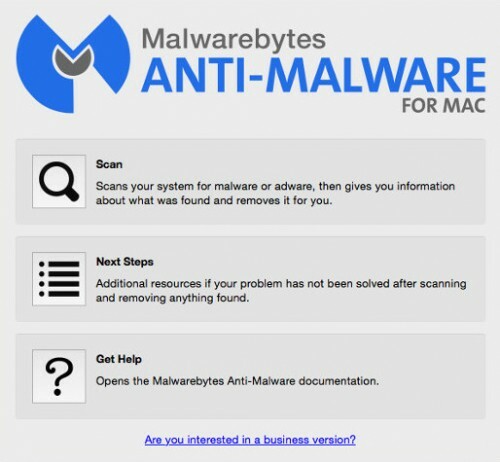 The MalwareBytes Free will remove RarGenie ‘ad supported’ software that cause annoying advertisements to appear and move items to the program’s quarantine. It’s important to use ad-blocking programs such as AdGuard to protect your system from malicious sites. Most security experts says that it is okay to block advertisements. You should do so just to stay safe! And, of course, the AdGuard may to block RarGenie and other annoying sites. After downloading is complete, run the downloaded file. Follow the prompts. After the installation is done, you will see a window as shown below. In most cases, the default settings are enough and you do not need to change anything. Each time, when you launch your computer, AdGuard will run automatically and stop pop-up advertisements, as well as other malicious or misleading pages. For an overview of all the features of the program, or to change its settings you can simply double-click on the AdGuard icon, that can be found on your desktop. Now your computer should be free of the RarGenie adware that causes browsers to open unwanted pop-up ads. We suggest that you keep Malwarebytes Anti Malware (MBAM) (to periodically scan your machine for new ‘ad supported’ softwares and other malicious software) and AdGuard (to help you stop intrusive pop up advertisements and harmful pages). Moreover, to prevent adware, please stay clear of unknown and third party software, make sure that your antivirus application, turn on the option to detect PUPs (potentially unwanted programs). If you need more help with RarGenie adware related issues, go to our Spyware/Malware removal forum.